Wendy Martinez of Northwest DC was attacked Tuesday evening while jogging. She had just gotten engaged a week earlier, her family said. She was chief of staff at a software and data company. 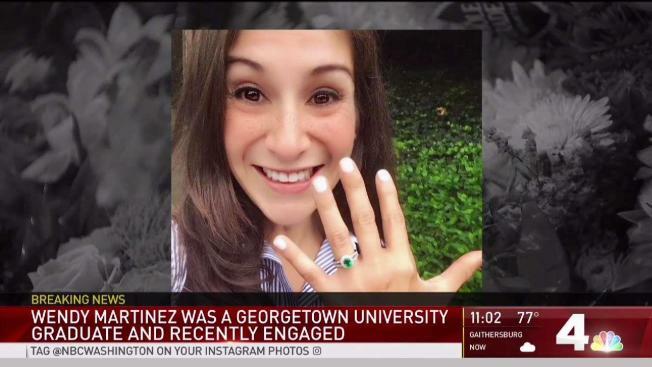 A 23-year-old man was arrested and charged Thursday in the "unprovoked" fatal stabbing of a woman who was jogging through D.C.'s Logan Circle neighborhood, officials said. 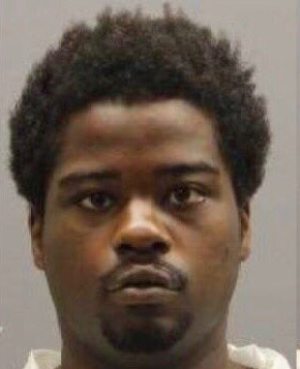 Police say surveillance video of the attacker in a distinct shirt and tips from the public helped them track down the suspect, Anthony Crawford of Northwest D.C., to a park near 14th and Girard streets NW Wednesday night. He was charged with first-degree murder while armed. Wendy Martinez of Northwest D.C. was out for a run just before 8 p.m. Tuesday when she was stabbed multiple times. The 35-year-old, who had recently become engaged, was jogging west on P Street NW and was attacked after arriving at the intersection with 11th Street. Newsham said Crawford has a criminal history, but there was no indication that any of it was violent. He said police will also look into whether Crawford had mental health or substance abuse issues. Police initially said they were searching for up to three attackers, but Newshawm said Thursday they believe Crawford acted alone. "I think that it is unsettling for anyone who lives in this city to see something like this happen," Newsham said Thursday. "This is a very isolated instance. You don't see crimes much like this, even during the course of my career, so it's a very unlikely thing that occured here at this intersection. At the same time, I'm sure that doesn't bring any level of comfort to the Martinez family." On Thursday, Newsham thanked members of community, including a nurse, for trying to provide medical help for Martinez on the scene and for providing tips that led to to the suspect.